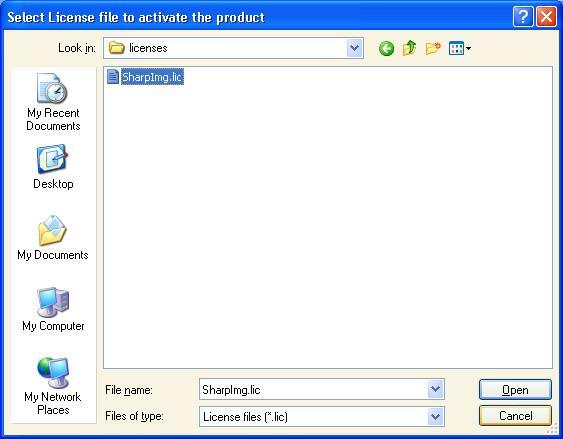 This topic discusses how to activate the Sharp IMG Viewer 2008. After the Sharp IMG Viewer 2008 installation you may run trial version for a limited amount of time. Launching the program a following window is displayed on startup. This window will be shown occasionally during the evaluation time. 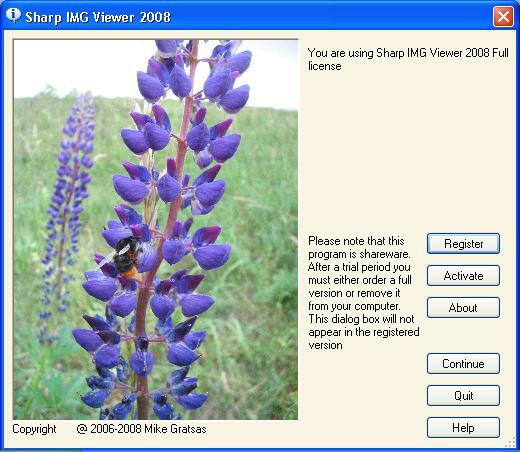 It is expected that if you decide the Sharp IMG Viewer 2008 suits your needs and plan to use it into the future, you will pay for it. After the trial version period is over, you will need to register and activate your copy of the product to continue using it. In order to activate the product, you need to purchase it and obtain the product key. To register your copy click Register Product menu item from the Help menu. 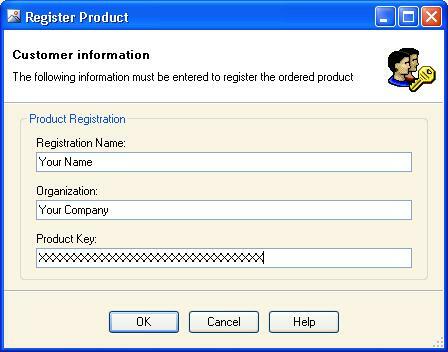 Fill product registration form with registration name, organization name and product key you ordered, then press OK.
Save registration information to request a license to file, then send it to to email address: mgratsas@gmail.com . After receiving the activation request from you, you will receive an email containing a license file. Please specify a valid email address when buying the licence, as it will be used to send you the license file. Save this file to some location on your computer. To complete activation click Activate Product... menu item from the Help menu, select the saved license file and press Open button. Please be aware that your activation license is linked to your computer(s), and the program can be installed only on as many computers as licenses you have purchased. If you need to move the program to another computer, please contact the author. On successful activation you will see a following window.